Easy to use, safe, high performance wash-in waterproofing for down filled clothing and gear. 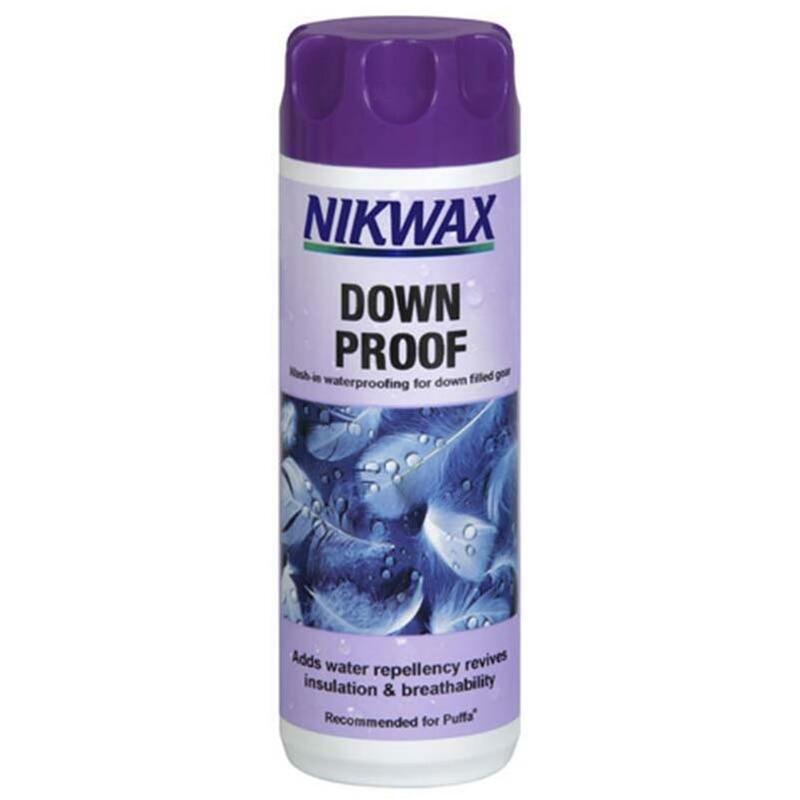 Nikwax Down Proof™ is a safe product to use on down filled items. It is WaterBased, non-flammable, contains no volatile organic compounds (VOCs) and is fluorocarbon free. It has been specifically designed and optimised for down items, providing Durable Water Repellency (DWR) to both the outer fabric and the down fill, whilst maintaining insulation and breathability. The outer fabric of your down filled item, as well as the down inside, must be maintained to ensure comfort. 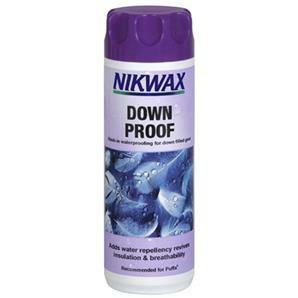 Through use it will eventually wear off and need to be renewed with Nikwax Down Proof™. For best results remove all non-washable parts and clean item(s) first with Nikwax Down Wash™ in a separate wash cycle. No need to dry item(s) before waterproofing. Shake well before use. Follow care label instructions (large items can be treated by hand).